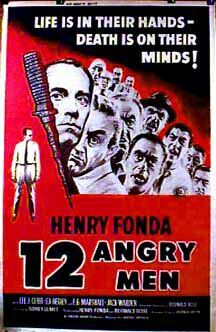 Heralded as one of the all-time great theatrical releases, "12 Angry Men" focuses on a jury's deliberations in a capital murder case. A 12-man jury is sent to begin deliberations in the first-degree murder trial of an 18-year-old Latino accused in the stabbing death of his father, where a guilty verdict means an automatic death sentence. The case appears to be open-and-shut: The defendant has a weak alibi, a knife he claimed to have lost is found at the murder scene, and several witnesses either heard screaming, saw the killing or the boy fleeing the scene. Eleven of the jurors immediately vote guilty, only Juror No. 8 (Mr. Davis, played by Henry Fonda) casts a not guilty vote. At first Mr. Davis' bases his vote moreso for the sake of discussion after all, the jurors must believe beyond a reasonable doubt that the defendant is guilty. As the deliberations unfold, the story quickly becomes a study of the jurors' complex personalities (which range from wise, bright and empathetic to arrogant, prejudiced and merciless), preconceptions, backgrounds and interactions. That provides the backdrop to Mr. Davis' attempts in convincing the other jurors that a "not guilty" verdict might be appropriate. What a Character-Study Is Meant to Be. 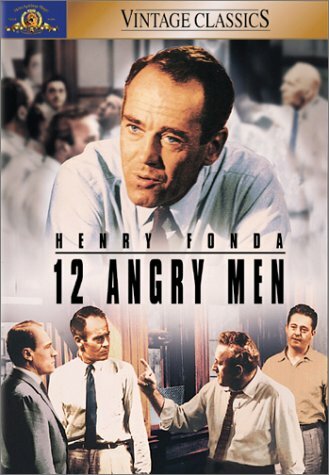 Intense courtroom drama which has 12 very different people, all males, struggling with a murder case involving a young Puerto Rican boy that seems cut-and-dried. 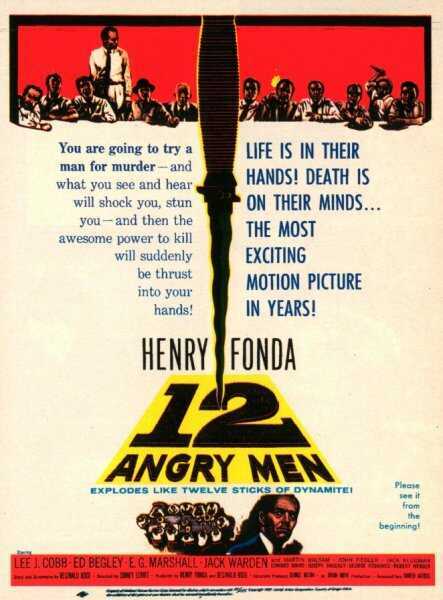 However, juror Henry Fonda does not believe it to be as sure-fire as it appears. He votes not guilty and what follows is a chain of events that will test the views, beliefs and thoughts of the other 11 members. 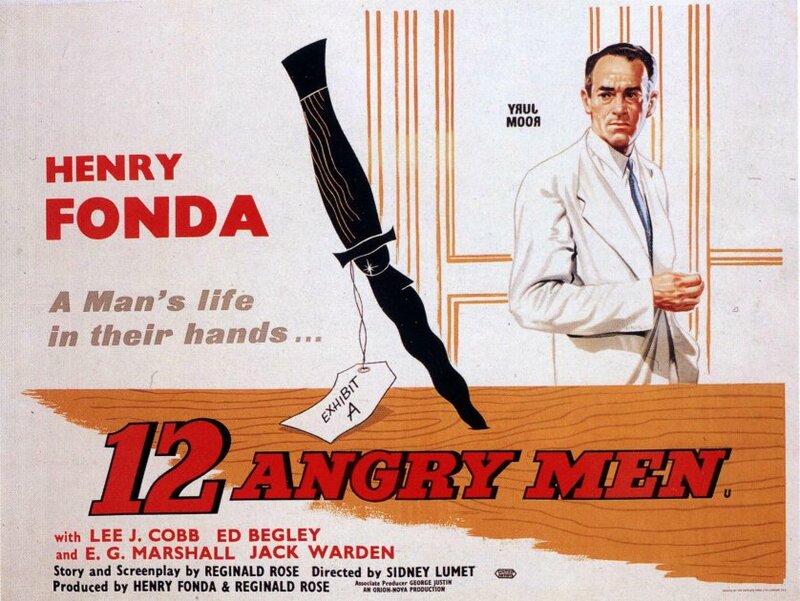 Fonda is great, but Lee J. Cobb steals every scene (and that is not easy to do in a film like this). Ed Begley, Martin Balsam, Jack Warden, Jack Klugman, Joseph Sweeney, E.G. Marshall and John Fiedler are among the other individuals caught in a situation that is much more difficult than it appears on the surface. An excellent character-study that should be studied and embraced by all present and future film-makers. 5 stars out of 5.